An annotation says that the book is intended “for older children.” The author, Irina Konnova, is trained as a topographer. One day he did dream. “Just one babe for every mom?! The book follows a recent trend of both Kremlin-backed and independent publications that attempt to garner popularity among Russian youth for Putin and his governing United Russia party. 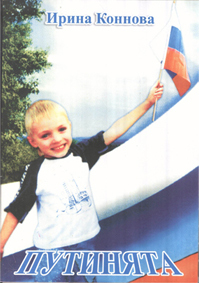 United Russia has been noted on numerous occasions for its agitation in Russian schools, including an order by former President Putin to introduce history textbooks that call Josef Stalin “the most successful Soviet leader ever.” Booklets picturing bear cubs (a take on President Medvedev’s surname) and the United Russia logo have been distributed to students, and a children’s organization based on party ideology called “Medvezheta” has appeared in several regions. Full-page scans of the book can be seen by clicking here (Russian).